The best Teachers are those who show you where to Look but don't show you what to See. Helping students become the GENIUS they already are. We encourage students to build academic self worth with Tidewater Tutors! 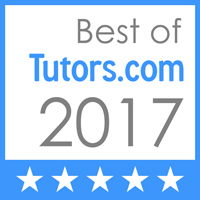 Tidewater Tutors promises to find the Not Yet in every person we tutor. We promise to create and nourish, the genius inside of you; to grow, develop and sustain your educational journey. From Algebra, Calculus and Statistics to English, Chemistry and Physics. Test prep and AP too. With the Tidewater Tutors Satisfaction Guarantee, your child can try online tutoring risk-free. Schedule online tutoring sessions for whenever you like and let your child connect with a professional tutor from anywhere using any connected device. Connect your child with a certified teacher or subject expert who understands their needs and curriculum. The classroom ensures safety with features like tutor reporting and profanity filters. Sessions are recorded for quality and security control. Tidewater Tutors with criminal background checks have this noted on their profiles. If you’re a good fit for Tidewater, you’ll be approved and visible to students. Add a criminal record check for full Tidewater verification. Find some time with a Tidewater team member to get introduced to the system and classroom. We’ll make sure you’re ready for your first session. Get online to accept instant help requests and start earning money tutoring one-on-one in the Tidewater Online Classroom. Learn difficult concepts in an intuitive and fun digital classroom. With the Tidewater Tutors Satisfaction Guarantee, you can try online tutoring risk-free. Choose a licensed teacher for K-12 or an academic expert for your college course. Register as a Tidewater Tutors student or parent completely free of charge.